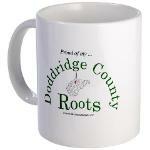 "Proud of my Doddridge County Roots"
Hur Herald (Calhoun County) - archived obits, photos, etc. e-WV - The West Virginia Encyclopedia - people, places, history, etc. Songs of West Virginia - give 'em a listen!! West Virginia Pioneers - by Betty Dotson Renick. An excellent genealogy resource.